Save the Date on your Calendar TODAY. 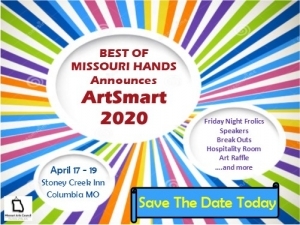 ArtSmart 2020 is in the works. MORE: Stay up to date on developments as they are posted by checking here, the Member's Only FaceBook page, and your email.